Not-quite twelve year-old Pri Kohli knows the town of Dunn’s Orchard better than anyone. After all, he was the first kid ever to live there. He knows its mysteries (none), its secrets (also none) and the best ways to have fun in it (climb a big tree and sit there). So why can’t he answer newcomer Attica Stone’s simple question: if the town’s called Dunn’s Orchard, where’s the orchard? As Pri and Attica go in search of forbidden fruit, they uncover stranger mysteries: a robot caterpillar, a mayor with a murky past, a Possibly Real Actual Boogeyman and a house made of doors in a haunted wood. And behind them all, deep underground, they find the biggest mystery of all — a secret so precious Pri will consider demolishing his own town to protect it. SHORTLISTED FOR THE 2019 READINGS CHILDREN’S BOOK PRIZE. YAY! 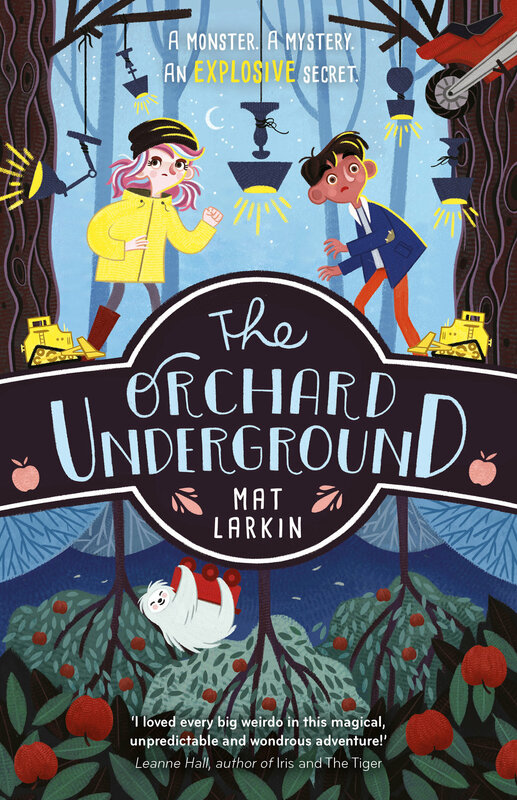 The Orchard Underground was edited by Marisa Pintado and Luna Soo. Design by Pooja Desai, cover illustration by Marco Guadalupi.